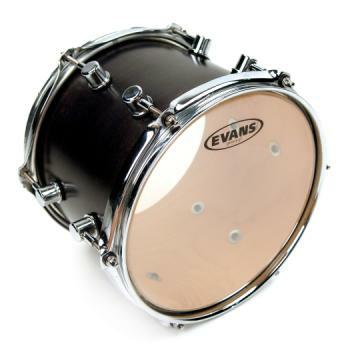 Evans G1 series features a single ply of 10mil film blending a bright tone, sustain and sensitivity. The head sets the standard for an open and expressive sound. Tuned low, it produces a cavernous rumble that emphasizes the natural sound of the shell.